How Far is Cosmos Hawaiian? 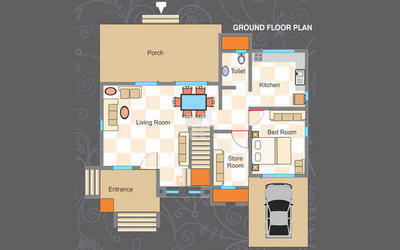 COSMOS HAWAIIAN , A LIFESTYLE ADDRESS FOR LIFETIME IS TOWNSHIP OF LUXURIOUSLY BUILT VILLAS IN 2 PHASES. PHASE I IS OF 52 VILLAS & PHASE II OF 58 VILLAS. IDEALLY LOCATED AT A FOOT HILLS OF SANJAY GANDHI NATIONAL PARK WITH NATURAL LAKE WITHIN THE PROJECT. THE PROJECT HAS SCHOOLS, COLLEGES , MALLS,BANKS,HOSPITALS INCLOSE VICINITY & IS LOCATED JUST 30 MINUTES FROM THE DOMESTIC & INTERNATIONAL AIRPORTS.